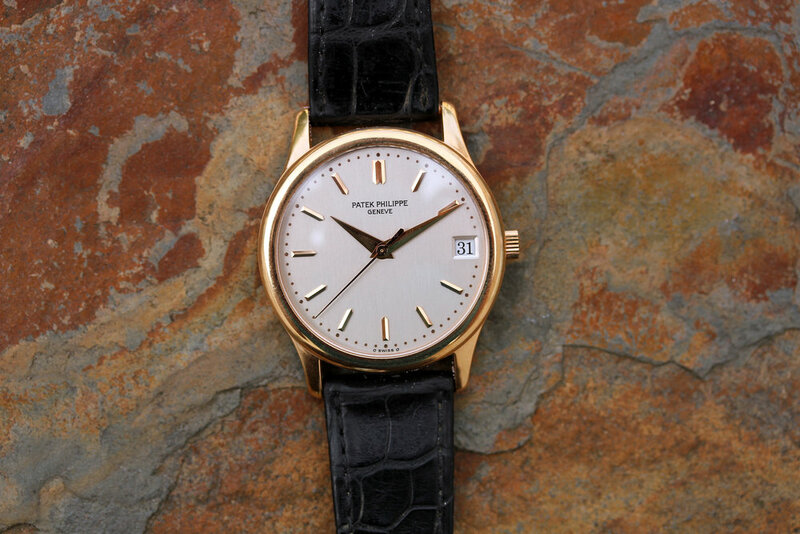 Reference 3998, 34mm, date complication, sweep seconds hand, automatic movement. 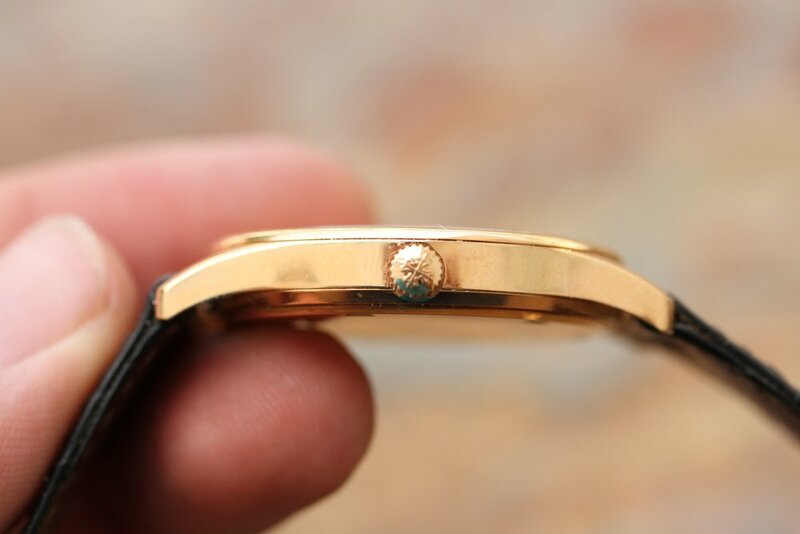 Excellent vintage condition without any major dings or dents. 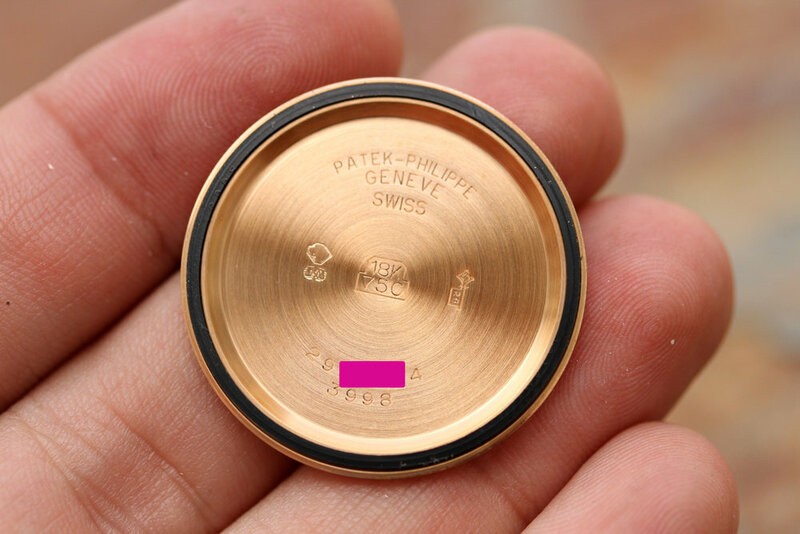 Original signed PP winding crown. 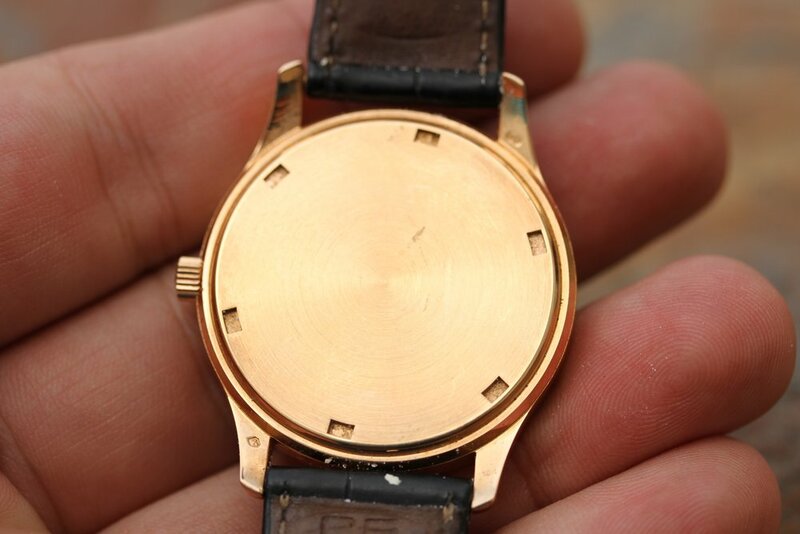 Dial is original, cream in color, sigma with original sword hands. 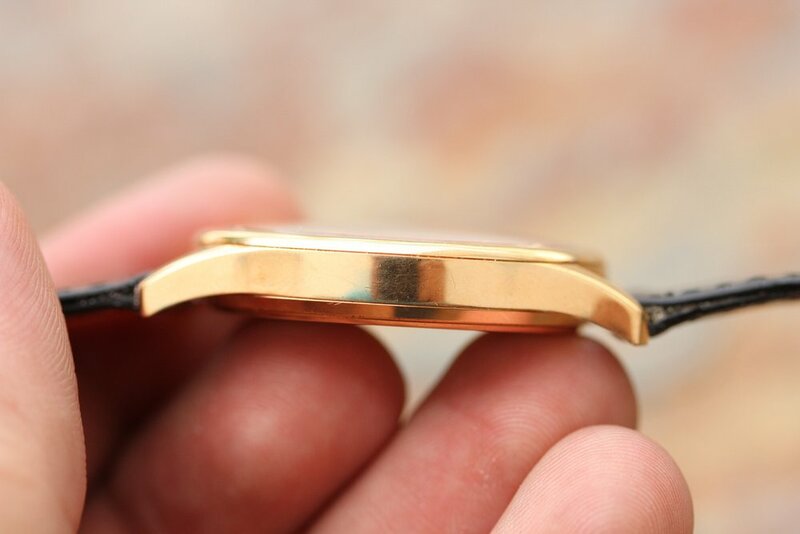 Caseback is in excellent and damage free condition. 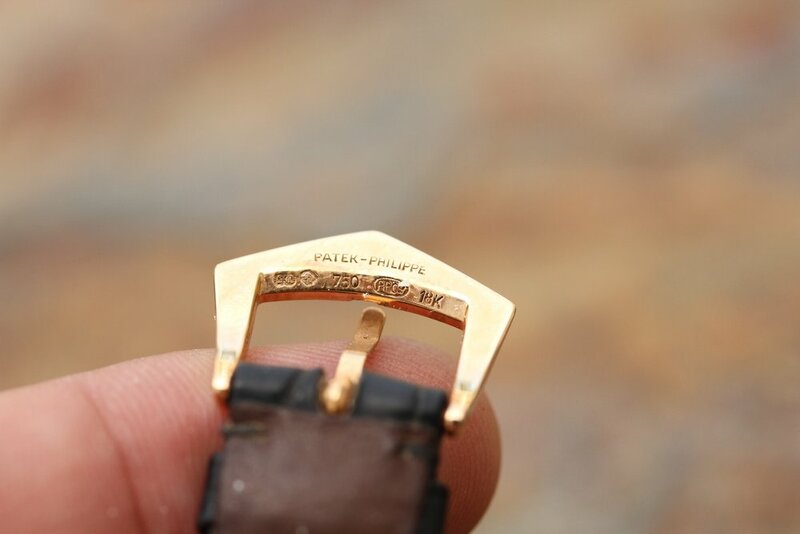 Strap is original black alligator leather Patek strap. 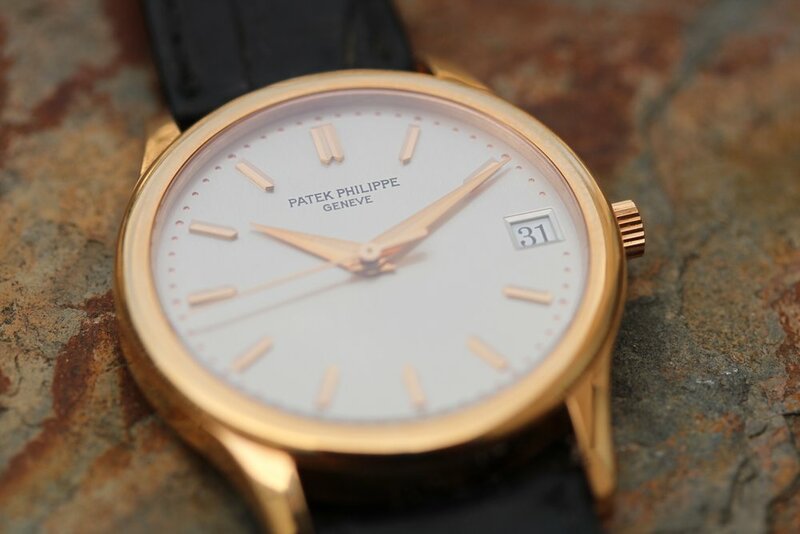 Buckle is original, rose gold Patek. 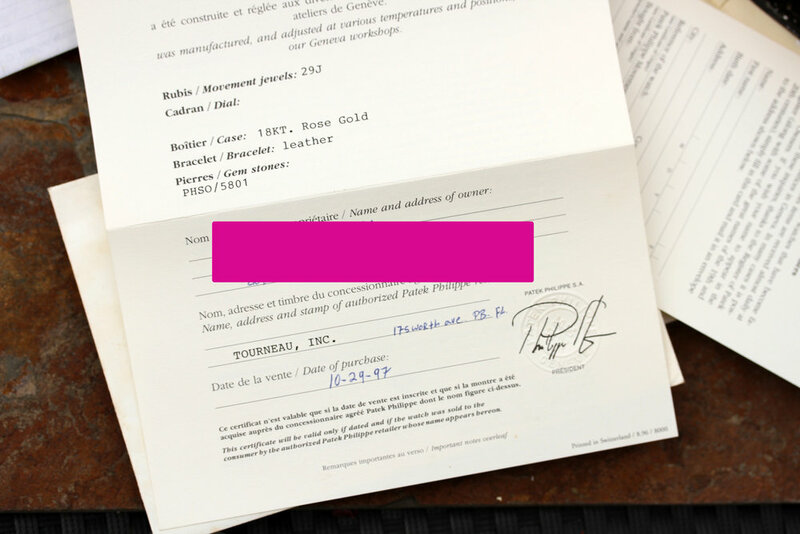 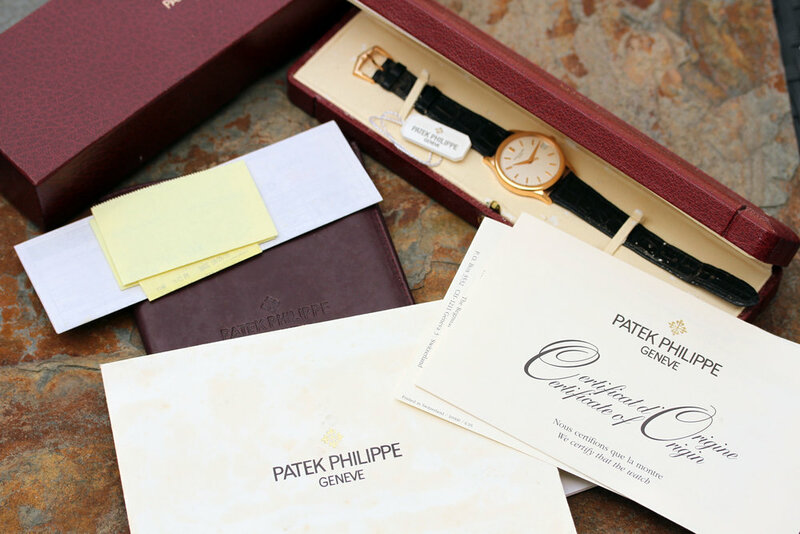 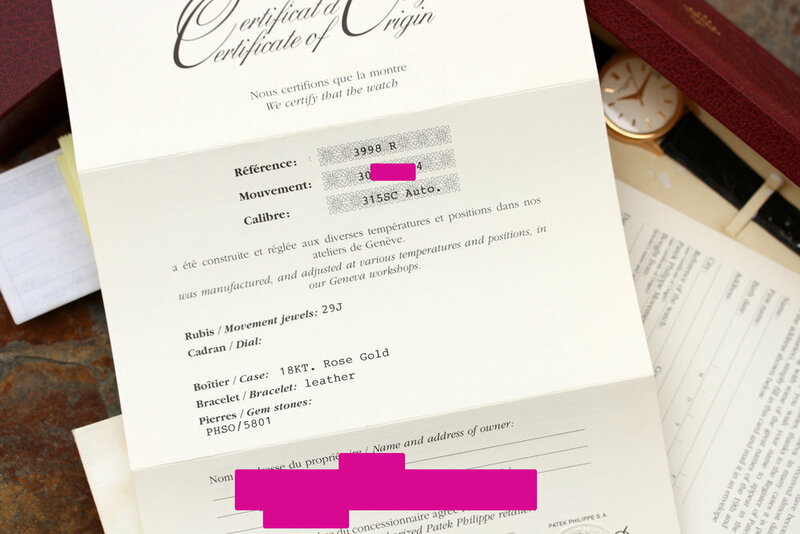 Watch comes with Patek boxes, original Patek papers, manuals, registration card, original sales receipt from Tourneau, hang tag with matching watch info. 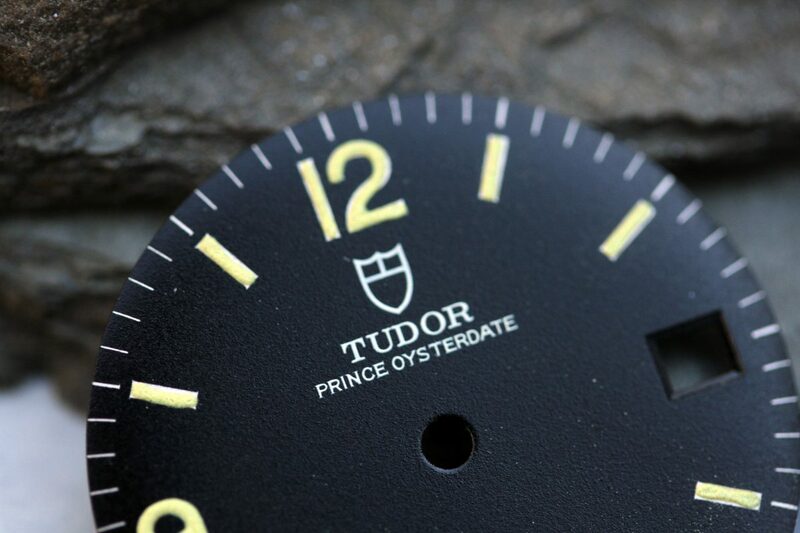 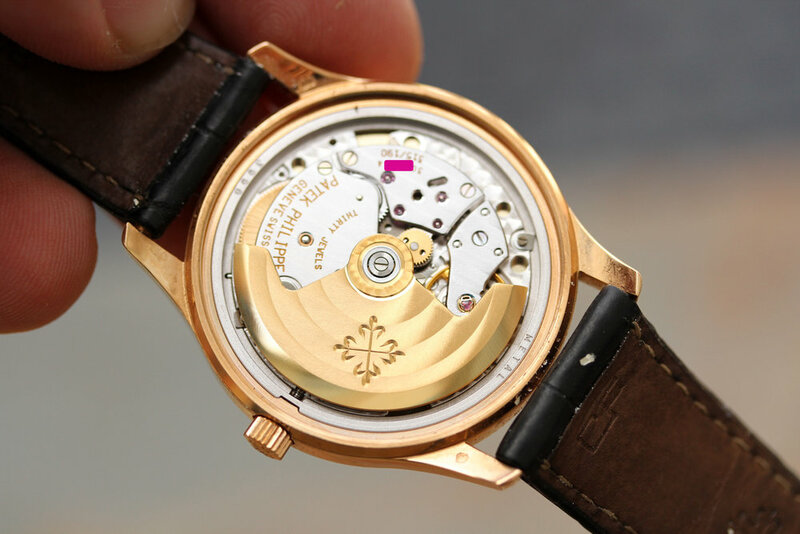 No documented service history, the watch currently winds smoothly, keeps good time.